India has abundance of religious tourism places. Not only domestic but also foreigners started visiting places of pilgrimage. Through the religious tour you can gain unique experience of religious forms, art, culture, and traditions. Now days, a trend is increasing for pilgrimage tour. The faith of people is increasing in religious sites. The nation has so many pilgrimage towns and cities like Jodhpur, Madurai, Jaipur, Mysore, Bangalore, Thanjavur, Chennai, Varanasi, Delhi, Dharamshala, Vrindavan and many more. Each city has some specialty in its tradition and culture. Jodhpur is the second largest city of Rajasthan which is also known by another name ‘Blue City’. The religion and culture is deeply rooted in the heart of people of this city. Eye catching historic Krishna Temple situated at the centre of city. Not only for Hindus but also it have mosques for Muslims, churches for Christians, and gurudwaras for Sikhs. A place which is renowned for its old temples, historic sites is Madurai. You can have Meenakshi temple tour by cycle rickshaw. You will be amaze to see the beautiful architecture of this site. Then you can go on chat with locals to explore some untold stories of this beautiful destination. You can have visit to Tantra temple of Shiva and Shri Gopinath Ji Krishna Temple where you will get the spiritual feeling in the Aarti ceremony. There are so many old temples at this place their infrastructure itself tells about their ancient life. The sculpture of Bull which is the sacred vehicle of Lord Shiva is 25 ft long and 16 ft tall. It is situated on the heights of Chamundi Hills. And the hill is around 3,490 ft above the sea level. From there you can get some stunning and panoramic view of landscapes and hills. Way to St. Francis Xavier cathedral you will discover some quaint churches and other cathedrals in Cleveland Town which are built by the Britishers at the time of their rule. As you explore more you will feel the charm of a bygone era. In Thanjavur many heritages are built under the rule of Nayaks. All has eye-catching architecture. While the tour to this place, you will experience the beautiful representations of Lord Brahma, heritage sites and the renowned Thanjavur Pith Work handicraft. You can witness the rich glory of ancient temples while worshiping at this place namely Varadharaja Perumal Temple, Ekambareswarar Temple or Kamakshi Amman Temple. You can observe the magnificence of wonderful Dravidian architecture in Kanchipuram. Fort St George which was built at the era of Britishers now it is a museum. Its starting point is Marina Beach. St. Mary’s Church is also situated within their premise which is the oldest Anglican church in India and renowned as the ‘Westminster Abbey of the East’. You will be delight to see the English architecture. Varanasi is one of the oldest cities. You can experience the religious rituals by taking the boat ride on the holy river Ganga conducting on the Ghats of Varanasi. This can be observed in both morning and evening. The chant mantras get you spiritual. You can take blessings of Goddess Laxmi at stunning masterpiece of Laxmi Narayan Temple. 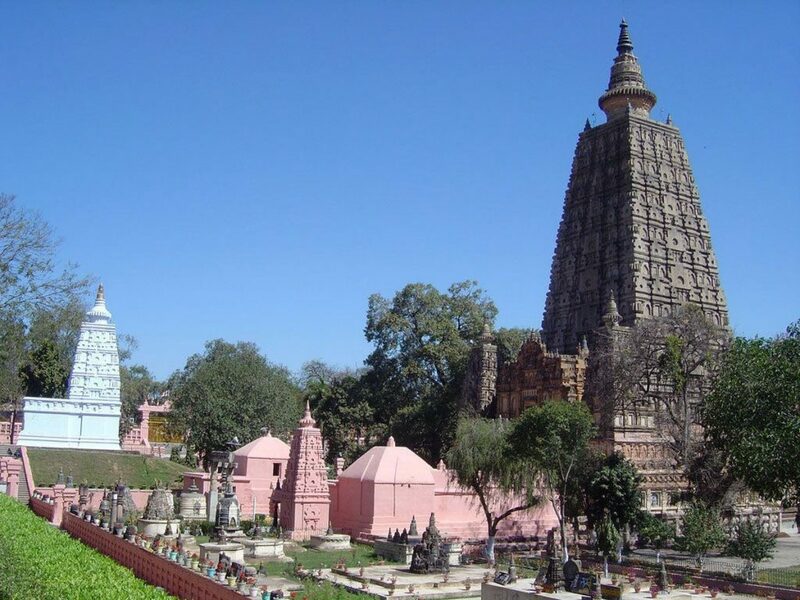 It is one of the oldest temples in the region. Then you can head to Akshardham Temple and Lotus Temple for exploring more religious destinations. Jwala ji temple, Chintpurni temple, Chamunda devi temple and Brijeshwari temple are famous for their beauty, charm and elegance. Dharamshala is a beautiful hill-station in Himalaya’s range where you can observe the holiness and religious air. A sacred and ancient temple for Hindus is Mukteshwar Temple in Bhubaneswar which has its own significance. Then you can move ahead to Parsurameswar Temple and Lingraja Temple to get some spiritual feeling. Then you can go on talk with local people to get to know more about the holy places. Thanjavur offers so many pilgrimage destinations to visit where you can observe the rich architecture of Bygone era. Some of the exquisite example of that era is Brahadeeswara Temple, Punnainallur Mariamman Temple, and Thittai Guru Temple. They lure the pilgrims. Talacauvery is famous Hindu religious centre in Coorg, it is believed to be the birth place of Cauvery River. Then you can walk for sacred temple of Lord Shiva, and Omkareshwar. These temples were built in Gothic and Islamic style. Your mind will purified after worshiping at this holy place. Your body will feel some new energy. You can enjoy the many stories of Lord Krishna at Sri Krishna Janmabhoomi temple in Mathura and you can also have a visit to Dvarkadhish Temple which is situated at the heart of Mathura town. There are so many sacred spots in Vrindavan where you can get relax your mind. These are the some holy place where you will get perfect peace of mind. The scenario at the time of prayer is worth watching. You will get more beautiful experience in religious tour rather than in adventure tour. Pack your bag and get ready for spiritual tour!! !